Youth Ambassador Exchange – YAE!! 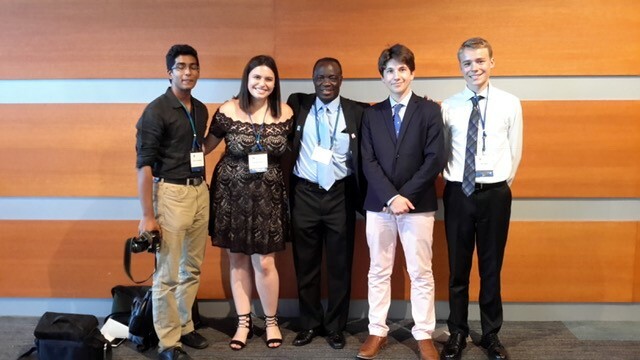 Since 2013, WCSCI has annually sponsored one of our past youth ambassadors to attend the Sister Cities Youth Leadership Summit, organized by Sister Cities International. This is an incredible opportunity and experience for our youth. In July 2017, Jack Daley (far right) attended the Summit in Virginia Beach. Read more about Jack’s experience here. For 2019, WCSCI will again offer two scholarships (approximately $650 value) to attend the YLS in Houston, Texas from July 17-19, 2019. Scholarships are offered to YAE ambassadors, past and present and students must be age 14-19 at time of conference. Scholarship applications are now being accepted. Please contact Jerry Hicks for an application. For more information about this program and Sister Cities International, visit their website.